It’s not uncommon for girls (and guys) to rush to the make-up counter before taking their passport photo. After all, everyone wants to sport a flawless, blemish-free complexion on such an important picture. However, you don’t need any foundation or blusher to achieve this when you’re with child. Instead, you should embrace your pregnant glow. The fact that this means you can steer clear of make-up should save you some time that could be spent on other baby-related tasks. There’s always a temptation to rise to your feet for your passport photo. However, this isn’t demanded in the official guidelines. Instead, the rules simply state that you should flash your picture ‘against a plain cream or light grey background’. Therefore, you should be sure to give your feet a much-needed rest by taking the photo from the comfort of a seat. While life can get in the way of your passport application (namely the possibility of giving birth and becoming a mother) you shouldn’t leave it too long to submit the picture you’ve taken. The guidelines state that all images must be ‘taken within the last month’, so make sure you’re speedy with sending it off or you could find that you need to take another at some point in the future. A fully completed passport application will be just one less thing that you’ll have to worry about when you’re pregnant. 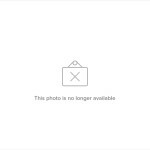 For a helping hand in making sure that your picture will be accepted, be sure to use the great service provided by Paspic. 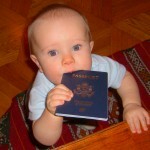 Why do babies need passports?